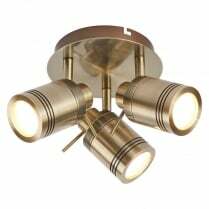 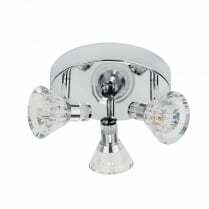 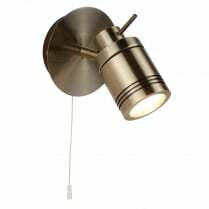 Searchlight presents the Flute range of bathroom spolight fittings. 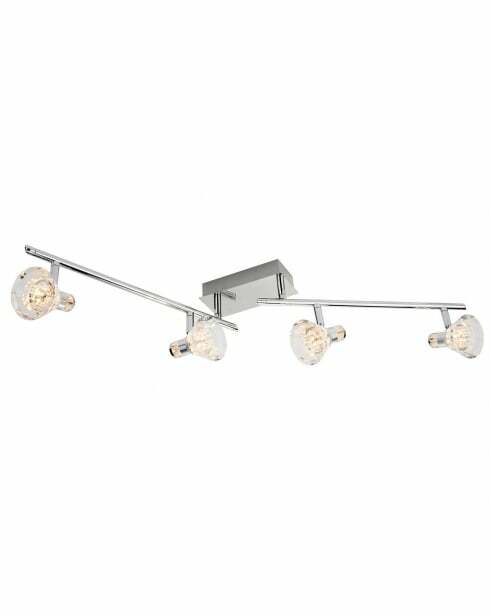 Finished in chrome with acrylic crystal bulb surrounds, each fitting in the Flute range is fitted with integrated LED bulbs which cannot be changed. 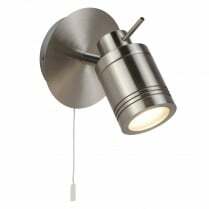 The 6364CC is a four spotlight ceiling bar and the built-in LEDs provide 1400 lumens of warm white (3000K) light. 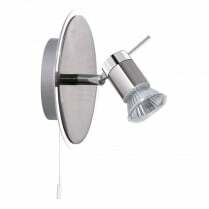 This fitting is rated IP44 for use in a bathroom. 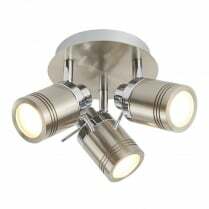 The Flute four light bar has a height of 19cm, a width of 9cm and a length of 85cm.